Last week I wrote how I was frustrated by the lack of legitimate Ebola related mobile apps for physicians to learn from and use at the point of care, and how the CDC and others needed to step up to produce this mobile content. AgileMD, a platform that enables hospitals and clinicians to upload their clinical protocols, point of care handbooks, and several other medical reference tools has partnered with the CDC and Nebraska Medical Center to provide health care providers with official guidelines for Ebola management and care — for free. Nebraska’s medical center has already treated an Ebola patient, and is home to the largest of four high level biocontainment patient care units in the United States. They have a wealth of information and are happy to share it with the rest of the country. The great thing about AgileMD’s platform is it enables the CDC and Nebraska’s Medical center to easily update their content on the backend, without users having to update the actual AgileMD app. Some of the content isn’t the most mobile friendly, such as PDF files that need to be zoomed in, but the value of the content is so high yield that it’s not a big deal. 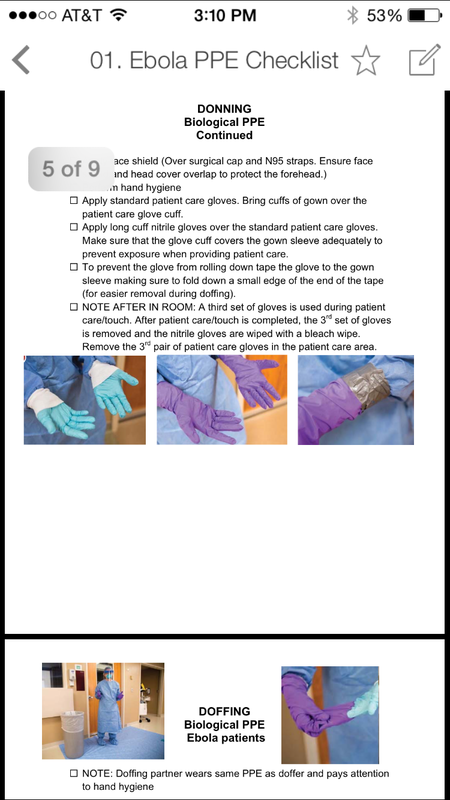 For example, Nebraska just finished making videos for doctors and nurses that answer key clinical questions, and has great multimedia content on how to appropriately gown up if you’re treating a patient who possibly has Ebola. Obviously, the PPE(personal protective equipment) will vary, but essential core concepts are taught. 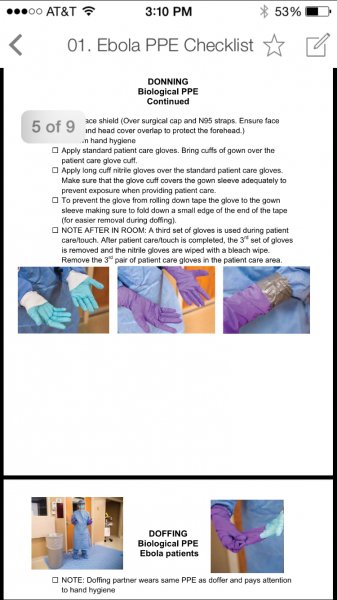 Nebraska also has great checklists that are very easy to utilize at the point of care. Below I have uploaded a video showing you how you can download the content from the CDC and Nebraska’s Medical Center using the AgileMD app. AgileMD’s app is free to download, and the content from the CDC and Nebraska is free for all health care providers to utilize.